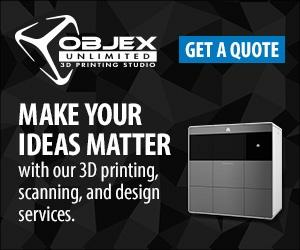 The iPro 8000 MP SLA® Production Printer is a high-productivity, mid-range Stereolithography 3D printing system that builds robust medical parts with outstanding surface smoothness, feature resolution, edge definition and tolerances and is equipped with automated, push-button data processing to build hundreds of parts at a time. The system’s mid-range build envelope and high-throughput capabilities make it ideal for the rapid mass customization of medical parts, including orthodontics, implant drill guides, dental restorations and hearing aid shells, among others. SLA technology is extremely versatile and it can be used in any number of areas that require precision above all else. It is all about precision and accuracy, so it is often used where form, fit and assembly are critical. The tolerances on an SLA part are typically less than .05mm, and it offers the smoothest surface finish of any additive manufacturing process. Find out more about the sterolithography (SLA) technology pioneered and patented by 3D Systems founder, Chuck Hull. Find the right material for your requirements among the broadest choice of engineering plastics and composites with our Accura® stereolithography (SLA®) material selection guide. Build robust SLA parts quickly and economically for incredible product features and performance.Deliver highly accurate parts and implants from a broad range of eurethane and bio-compatible materials with very high tensile strengths and propertiesRaise the standards and expectations of what your medical device and implant practice delivers.